Set between Dong Ha and Dong Hoi to the north and Da Nang and Hoi An to the south, Vietnam’s old imperial capital of Hue features on the itinerary of just about every first time visitor to Vietnam, and justifiably so. Straddling the truly beautiful Song Huong (Perfume River) the city first rose to prominence in the 18th through 19th centuries when it was the seat of power for the Nguyen lords. It remained the national capital until 1945, when then-emperor Bao Dai abdicated as the nation was sliced into two. This imperial legacy manifests itself today through the fortified city (better known as the Citadel) and a collection of tombs – from the grungy to the grandiose – dotting the landscape around the modern city. During the American War, Hue’s location roughly half way between Hanoi (540 kilometres away) in the north and Saigon (644 kilometres away) in the south, 15 kilometres west of the South China Sea and just south of the Demilitarised Zone (DMZ), meant it saw heavy fighting. The tombs themselves saw little damage, but the Citadel and central city were badly damaged during the Tet Offensive of 1968. Hue’s complex history has earned it a reputation as a political, cultural and religious centre, but nowadays, visitors to contemporary Hue will find a city that only dimly reflects its past, and only does so as a begrudging nod to its Western visitors. Like Ha Long Bay to the north, the complex of tombs, pagodas and palaces throughout Hue and its surrounds has been designated a UNESCO World Heritage site, but to the Vietnamese psyche of many, shaped by centuries of war and struggle, and tempered by nearly 40 years of communist rule, this heritage is largely irrelevant and disconnected from the present. The overwhelming sense one gets from the city, on even the most casual visit, is of an unstoppable forward drive, and of a people looking to the future. But the profitability of tourism has lead to a paradoxical situation where, in order to move forward, the citizens of Hue must pry open those doors to the past they would rather leave shut. As a result, the tourist industry has developed into a half-hearted attempt to give the foreigners what they want and send them on their way. While this has been effective in one sense—a steady stream of tourists keeps showing up and paying for tours—in the larger scheme it has also meant many poorly run tours and disappointed travellers. At the moment, Hue is a premier tourist destination mostly in theory. In practice, it’s still a work in progress. That notwithstanding, it’s a beautiful and vibrant city, with great places to stay, delicious food and a number of interesting things to do, on and off the well-worn tourist trail of historic attractions. Be warned though, that those intent on seeing the sights themselves rather than going on an organised trip may find things a tad frustrating. Despite some great universities focusing on languages and tourism, Hue has yet to stick with a free tour programme. If you want to be sure to enjoy a "culture tour", you’re going to have to pay for it. The only consistently worthwhile tours we’ve heard of, or taken ourselves, were private tours where you get to roll your own itinerary. It needn’t be that expensive. A day-long tour by motorbike should be US$14, and by car, $70. Very few tours include site admissions. The Citadel is 150,000 VND including entrance to the royal antiquities museum, housed in a building to the right of the citadel on Le Truc Street. The tombs will each set you back 100,000 VND. All other sites are free of charge unless a snarling warden guards the site—handing over a voluntary 20,000 VND in this case will get you a big smile and a full guided tour – albeit in Vietnamese. One thing not advertised is a 360,000 VND ticket available from the ticket office at the citadel. You have to ask for it, and it covers the entrance for the Citadel and three tombs for 48 hours from the first stamp; it’s well worth the investment if you are planning on seeing them all. Extensive renovations of sites were ongoing during our visit in 2014. Most of it was concentrated on the golden mile surrounding Tu Hieu pagoda and Dong Khanh tomb. What struck us was that the renovated sites, although opulently restored, were no match for the deserted, crumbling facades of the tombs that have yet to charge. Despite guide services being very well advertised at each ticket office, be warned that English-speaking guides are pretty thin on the ground, and there is no communication between the ticket office and the guide hut just inside the various entrances. This means the ticket office will happily take your 100,000 VND guide fee and point you to the hut, where you will be met by blank faces and waving hands. Often reading before you go or booking a professional guided tour in town is a better option than relying on on-site guiding. While as a rule of thumb going for a small group tour booked through a reputable company rather than hiring a freelance guide may pay dividends, we met some good guides on the street, and some crappy guides who worked through companies. Your mileage will vary. Be sure to invite your guide to sit down for a drink and discuss the specifics before you commit. It doesn’t matter what you drink—green tea is just as appropriate as beer—but this is how Vietnamese do business. Take your time, talk about things other than the tour, and leave yourself an out from the beginning, in case you’re not happy – perhaps say for instance that you are waiting for friends to come into town, so you’re not sure when you want to go. Gauge the extent of your guide’s knowledge and language skills. Use your gut. If they strike you as creepy or obnoxious, that’s not just the culture barrier. The best guides are cool dudes you want to spend more time with. That’s what you’re looking for. Even if you have a guide, a lot of the onus still falls on you to make sure you see the sites you want to see. Most guides will happily take you anywhere you want to go, but if you don’t speak up, they’ll just take you to the most convenient spots for them. One of the biggest problems we encountered with motorbike guides was their reluctance to take us to the further flung tombs; time and time again we were told they were not worth seeing as they were exactly the same as more conveniently located sights. This isn’t really true though, as these are the tombs that have escaped the shiny makeovers, crowds and entrance fees of other attractions on the map. If the first guide you ask says no, move on to another until you find one who will; to save misunderstandings on the tour, get them to mark the agreed route on a map before you go. In the past we have used Mr Vui, who we found to be full of interesting information, but other travellers have not always had the same experience—perhaps meet up with him before hand to see how you get on. If he’s not a good fit for you, he can probably hook you up with another guide. Good guides can be hired at Mandarin Cafe and Stop and Go Cafe and people seem quite happy with the tours out of Cafe on Thu Wheels, though some of the guides don’t speak much English. Also, Mandarin Cafe has a good and steady reputation. For further flung tours, Le Family Riders is a family-run motorbike tour company with some excellent itineraries well off the usual beaten path. Everything is included in their day rate, including fun and informative guides and meals. They can also arrange for luggage to be forwarded on to your next destination and pre-book the best guesthouses available in each town on longer tours. Mr Vui: T: (84) 0945 288 097. vuiphn@yahoo.com. Ly Family Riders: 44 Dang Thai Than St, Hue. T: (016) 8926 6792. Another option is to skip a tour and do it on your own. Take your time. Don’t try to see everything—just target a few key spots. Expect nothing much more than you would from a lovely, relaxed day in the park, and you’ll avoid some of the frustrations and let-downs we hear about. Everything can be visited by car, bicycle or motorbike on your own. However, everything worth seeing is dubiously marked on the maps: particularly the sights located further afield. We found the best of the lot to be the free Hue Tourist map, available at most hotels and tour booking offices. Even armed with that, we’d recommend taking advice on your planned route before you go as there are some easily navigated off-map shortcuts and it’s not uncommon for some of the tombs to be closed for renovation work. But a great way to while away the hours in Hue on a beautiful day is to try to find some place on your own anyway, get lost, see the countryside, stop along the way and eventually wind up some place interesting, even if it isn’t the place you were heading for when you set out. Hue is set on the banks of the Song Huong (Perfume River) as it widens and jogs diagonally from the northeast to the southwest. Numerous natural tributaries and canals branch throughout the city, making it a watery place, especially during typhoon season, when many streets may become impassible and the river may overflow some of the lower bridges. The Citadel, the former seat of the Vietnamese government when Hue was the capital, dominates the northern bank. It’s surrounded by two moats, the outer of which connects directly to the river—an impressive feat of engineering. Ten gates allow access in and out of the area, and make for a tight squeeze for large trucks. Most of the interior of the Citadel is inhabited by common folk, and it’s really just part of the town. A smaller enclosure within the Citadel, up against the southern wall, is surrounded by yet another moat and houses the Forbidden Purple City, where the emperor and his concubines used to bed down. The southern bank has three budget accommodation areas. One is Side Street 66 off Le Loi Street, which borders the river, between Pham Ngu Lao and Chu Van An. The second is on an alley off Nguyen Tri Phuong, just to the west of and parallel to Hung Vuong. And the third is a little alley off Nguyen Cong Tru Street. You won’t see these on any map other than in guidebooks. Luxury accommodation seems to organise itself along the southern bank of the river, though the new Imperial Hotel takes advantage of its inland location to give you a great view of all the other places you could have stayed. The two banks of the river are connected by four bridges. The northernmost bridge connects Nguyen Gia Thieu in Phu Hau district to the other side; the next is Truong Tien Bridge, with distinctive ironwork arches, at the north end of Hung Vuong connecting to Tran Hung Dao on the other side. This narrow bridge gives the most direct access to Dong Da night market but can get quite congested. If you have a choice, use Phu Xuan Bridge, which connects Le Loi to Tran Hung Dao, just a bit to the west, and grab a cyclo. A fourth bridge, Con Da Vien, named for the island it crosses, is a railroad bridge that goes from the station to the southwest corner of the Citadel. Two narrow paths intended as footbridges are now used by cyclists and motorcyclists. The walkways are unforgivingly narrow, so don’t even attempt it unless you have mad bike skills (this doesn’t stop the locals from doing it with a TV set strapped to the back and a baby on the handle bars, of course). To get to the train station, head west on Le Loi until it ends. The main bus terminal (Dong Da) is best reached by heading across the Truong Tien bridge, where it lies 200 metres to the left beside the market. For the southern terminal (Ben Xe Phia Bac), head down Hung Vuong Street, continue straight at the big roundabout (passing the Big C supermarket on your left), cross the bridge and continue for three kilometres till you see the left hand turn for An Duong Vuong and you’ll find it a further four kilometres down—the airport (Phu Bai) is about 14 kilometres further on, on the right. Most book stores (and tour offices) sell at least two decent maps of Hue. The Hue Tourist Map gives a good, wide view of Hue, and has an inset that marks the approximate location of all the major tombs to the south. The Hue Cultural Tourist Map is easier to read, but useless for the far-flung tombs. It does, however, have a very good map of the entire province which would be useful to motorbike trekkers. Neither of these maps includes the new Highway 1 bypass road that now loops around Hue City to the west. Do also stop by the Mandarin Cafe on Tran Cao Van, across from the Imperial Hotel, for their walking tour map, a good activity you can do on your own. Mandarin Cafe: 24 Tran Cao Van, Hue. T: (054) 382 1281. E-mail: mrcumandarin@gmail.com. Daily 06:00 to 22:00. Hue is well-supplied with banks and ATMs. Several 24-hour machines are located at the Vietcom Bank, 78 Hung Vuong. They cash travellers checks at US$4 per transaction commission to receive VND. The Incom Bank on Hung Vuong has a US$2 minimum commission per transaction and offer Western Union services. Sacom Bank has a branch near the Citadel that provides card transfers and cashes travellers checks at 4% commission along with an ATM outside. All the major hotels seem to have an ATM – but only the HSBC ATMs have a withdrawal limit exceeding 2 million VND. You can do multiple withdrawals at a time but this does rack up bank fees back home (unless you have a travel card). HSBC (ATM only) 25 Hai Ba Trung St, 91 Tran Hung Dao St.
Sacom Bank: 126 Nguyen Hue, Hue T: (054) 383 4979. Vietcom Bank: 78 Hung Vuong, Hue. T: (054) 381 1900. Open Mon-Fri 07:00-11:30, 13:30-20:00, Sat 08:00-11:30. Free WiFi is available just about everywhere and even the cheapest guesthouses offer free use of an in-house computer as well as WiFi throughout the building, although coverage can be patchy at times. 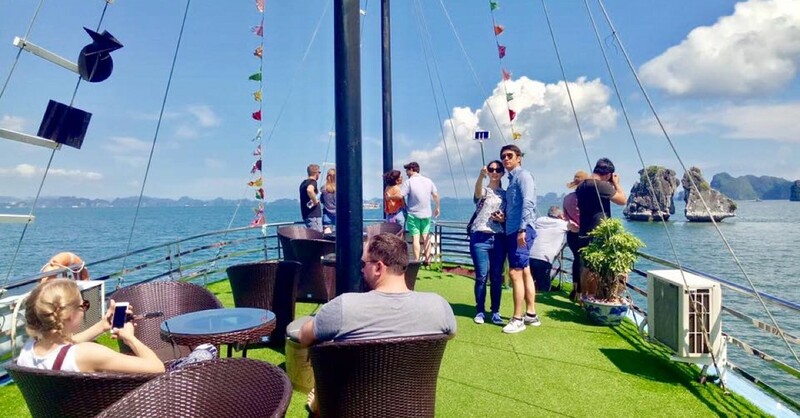 If you are looking for a speedy connection, the local internet gaming cafes dotted all over town are the way to go, charging 5,000 to 10,000 VND an hour—probably not the best places though to Skype home from if you want to hear anything above the racket. One-month tourist visas can be extended for an additional month for about US$25 at most guesthouses and hotels. The service takes a couple of days so if you are planning on moving on it might be best to find out how easily it can be done in your next destination and to take copies (or photos) of your old visa and passport in case of any delays – your passport can easily be sent to your new hotel, but you’ll not be able to check in without those copies! If you are going to need a doctor anywhere in Vietnam, Hue is quite a good place to find one. The international hospital on Le Loi is the third largest in the country and offers Western standard treatments and staff who speak a number of languages. They also accept payment through credit cards (one of the few businesses that do) and health insurance companies. 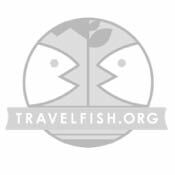 Use the above map to find specific destinations in and around Hue which are listed on Travelfish. Bed icons indicate a guesthouse, hostel or hotel, the knife and fork is an eatery or bar and the four-way circular thingy marks sights, attractions and other points of interest. Click on any icon for a short pop-up and a direct link to the page for that spot. If you are in the area, use the teardrop icon near the top left to show your position on the map (you'll need to allow position sharing for this last feature to work).